It is not a cute face. Because it is a black brooch, please match it with colorful clothes. Monkey special collection, Part 4. When you search for monkeys, you can see various kinds of monkeys. 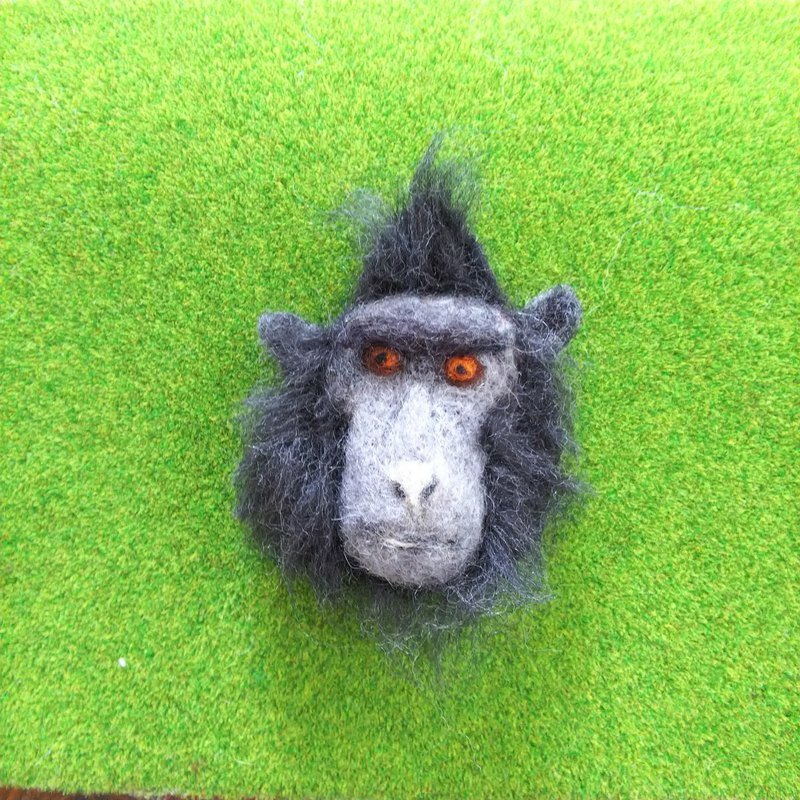 As I was looking and found a very dignified monkey, just made it. Size: 5 x 8 x 2.5 cm It is a needle (special needle for wool) to be attached. Because of friction, it may get fuzzing, Please note.